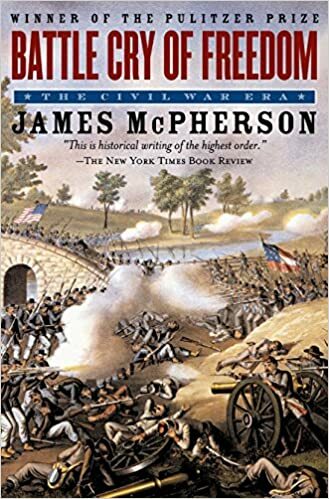 A list of over 20 famous and influential figures in the American Civil War (1861 – 1865) Includes politicians, generals, soldiers, spies and social activists. Abraham Lincoln (1809-1865) 16th President of the US from 1861-1865. Lincoln’s election caused the south to secede from the US. Lincoln led Union forces to resist the split and preserve the Union. After a long war, Union troops prevailed. 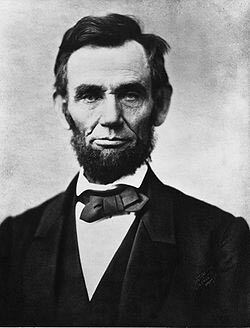 The Civil War enabled Abraham Lincoln to promise the end of slavery, and in 1865 a bill to outlaw slavery was passed. Lincoln was assassinated shortly after the end of the war. Jefferson Davis (1808 – 1889) Davis was a senator from Mississippi. During the Civil War, he was the President of the Southern Confederate States who wished to retain slavery and break away from the Union. Davis was considered an ineffective leader, often getting lost in detail and lacking popular appeal. Despite some military successes, the Confederate States slowly lost ground economically, politically and on the battlefield. After the war, he was arrested for treason though he was never tried. Andrew J. Johnson (1808 – 1875) A Senator from Tennessee, Johnson rejected the southern secession and remained with the Union cause. He was a Union military governor of Tennessee, and in 1864, Lincoln chose him as Vice-President. Johnson as a Southern Unionist was an ideal candidate for Lincoln who wanted to unite the country. After Lincoln’s assassination, Johnson became President (1865 – 1869) He opposed the implementation of federal voting rights to Black Americans and enabled southern states to rejoin the Union while denying voting rights to former black slaves. Salmon P. Chase (1808 – 1873) Chase was a leading opponent of slavery and supported voting rights for black Americans. He also helped to found the modern Republican party as a new party opposed to slavery. After losing the 1860 nomination, he served as US Secretary of the Treasury during the Civil War. 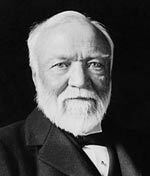 In his tenure, Chase set up a national banking system to help fund the war effort. After the Civil War, Chase served as Chief Justice of the US. Robert E. Lee (1807 – 1870) American General who was Commander of the Virginian Confederate Army from 1862 until its surrender in 1865. Lee achieved some notable victories, but often his daring attacks cost high numbers of casualties, at a time when the South had dwindling resources. By 1865, Lee took control of all Confederate Armies, and it was Lee who surrendered to Ulysses S. Grant. Ulysses S. Grant (1822 – 1885) US General who rose to Commander of the Union forces for the final year of the Civil War. Grant was an able commander who improved the performances of the Union army. In 1863, he captured Vicksburg and the Mississippi River, cutting the Confederacy in two. In 1864, he surrounded the Confederate Army in Richmond. It was Grant who accepted the surrender of Confederate forces in April 1865. After the Civil War, Grant became the 18th President of the US. Thomas Jonathan“Stonewall” Jackson (1824 – 1863) Jackson was a Confederate general during the Civil War. He led the Stonewall Brigade and achieved notable military successes during the Valley Campaign of 1862. He also achieved praise for his action in the First Battle of Bull Run on July 21, 1861, when Stonewall’s disciplined troops held the lines. Widely admired by his men, he was accidentally shot by Confederate troops in 1863. His death was a major blow to the Confederate Army. David Farragut (1801 – 1870) Admiral of US Navy. A southerner from Tennessee, Farragut saw secession as treason and during the Civil War volunteered for the Union side. He achieved notable victories at the Battle of New Orleans and Battle of Mobile Bay and was promoted to Admiral – the highest rank for the US Navy. William T. Sherman (1820 – 1891) Union General. During the Civil War, Sherman rose to Major General of the Union Army. In 1864, he led Union troops to an influential victory in Atlanta, Georgia. His victory helped Lincoln to win the 1864 election and was a decisive blow to the Confederate Army. He also implemented a controversial ‘scorched earth’ policy to reduce the economic capacity of the Confederate Army. Robert Gould Shaw (1837 – 1863) Shaw was a colonel in the Union Army. He commanded the first all-black regiment The 54th Massachusetts.) He also encouraged his troops to seek equal pay with white soldiers. Killed in action at the Second Battle of Fort Wagner, Shaw commanded respect with Black Americans, and he encouraged many others to join the Union Army. Harriet Tubman (1822 – 1913) Tubman escaped from slavery but returned on many dangerous missions to Maryland where she helped lead slaves to freedom. During the Civil War, she also served as an agent, helping to recruit African-Americans to the Union cause. She became a symbol of the abolition movement. John Wilkes Booth (1838 – 1865) Wilkes Booth was an ardent Confederate supporter. Shortly after the end of the Civil War, he assassinated Abraham Lincoln at the Ford’s Theatre in Washington, D.C. on April 14, 1865. After the assassination, he escaped to Maryland and Virginia but was given up by associates, and he was shot by a Union soldier. Mary Todd Lincoln (1818 – 1882) Wife of Abraham Lincoln and First Lady during the Civil War. Despite having half-brothers in the Confederate Army, Lincoln was supportive of her husband’s policies and often accompanied him on tours of hospitals. She was also criticised for extravagant spending on the refurbishment of the White House. Mathew Brady (1822 – 1896) Brady was a pioneering photographer who took photos of Civil War battlefields, using a mobile darkroom. His iconic photos of the Civil War gave the general public one of the first visual records of war. Writers, philosophers and public figures who shaped public opinion during the years of the Civil War. 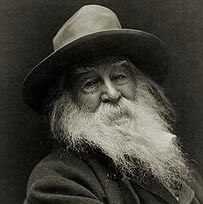 Walt Whitman (1819 – 1892) American poet. At the start of the Civil War, he wrote “Beat! Beat! Drums!” a patriotic poem for the Union side. He volunteered as a nurse after seeing the casualties of war. 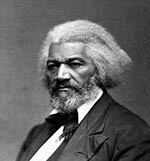 Frederick Douglass (1818 – 1895) A former slave, Douglass became a leading figurehead in the anti-slavery movement. He was one of the most prominent African American leaders and noted for his stirring oratory. During the Civil War, he was active in encouraging black Americans to serve in the Union ranks. 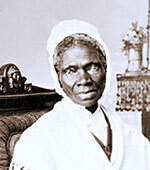 Sojourner Truth (1797 – 1883) African-American abolitionist and women’s rights campaigner. A former slave who gave powerful speeches on the inhumanity of slavery and the justification for equal rights. During the Civil War, she helped to enlist black troops in the Union Army. Ralph Waldo Emerson (1803 – 1882) American Transcendentalist poet, philosopher and writer. Emerson was opposed to slavery and called for its abolition. In 1862, he gave a lecture in Washington at the Smithsonian calling for the emancipation of slaves. In the same year, he met Lincoln at the White House. 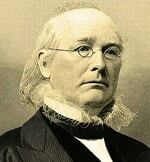 William Lloyd Garrison (1805 – 1879) – A prominent anti-slavery campaigner and journalist from Massachusetts. Garrison founded the journal ‘The Liberator’ and made the radical call for immediate emancipation of slaves. Garrison’s strident views were met with hostility by many who didn’t share his view on slavery. Elizabeth Cady Stanton (1815 – 1902 ) – Stanton was a vocal critic of slavery, campaigning for the NY Anti-slavery society. 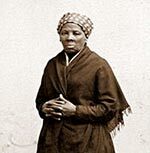 She also helped the underground railroad, a movement helping black people to escape slavery. After the civil war, she became more concerned with gaining women the vote. Mark Twain (1835 – 1910) American writer and humorist, considered the ‘father of American literature’. 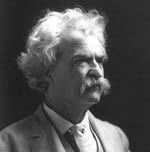 Famous works include The Adventures of Tom Sawyer (1876) and Adventures of Huckleberry Finn (1885). During the civil war, Twain briefly enlisted with the Confederate Army, before leaving. Twain was an abolitionist and supported the end of slavery. Citation: Pettinger, Tejvan. “People of the American Civil War”, Oxford, www.biographyonline.net, 23rd February 2017. People who built America A look at people who helped build American – from the Founding Fathers of the American Revolution to the modern technological age. People of the Reconstruction Era (1865-1877) Influential figures and groups of people in the aftermath of the American Civil War and the drive to rebuild the south and defend new civil rights. Including Presidents Johnson, Grant and leading ‘carpetbaggers’, ‘scallawags’ and radical Republicans. People of the American Revolution Leading figures in the American Revolution. Includes military leaders, philosophers, British protagonists and ordinary people. List includes; George Washington, Thomas Jefferson, George III and Benjamin Franklin. Facts about the American Revolution. The key events, people and battles which shaped the American War of Independence. Includes principal figures, such as George Washington, Thomas Jefferson and King George III. This site is very helpful!